The original 1997 “United States Air Force core values” handbook (aka the “Little Blue Book”) was published to introduce the Air Force core values to the Air Force. 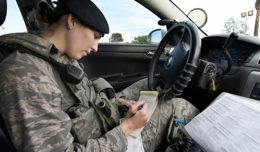 The next evolution of the Little Blue Book moves beyond the core values to provide Airmen with instant access to the core values, codes and oaths that guide Airmen in their service in the profession of arms. Highlighted and defined in the new Little Blue Book are the profession of arms and respect. All Airmen belong to the profession of arms; we are all accountable for meeting ethical and performance standards in our actions. Airmen must have the strength of character to do the right thing, the right way, for the right reasons. How can Airmen get a copy of the Little Blue Book? Also available as a free mobile application on both Android and Apple devices. Search for Little Blue Book in the application stores. The Android app is currently available for download and the Apple app will be available soon. 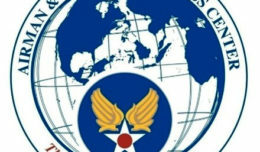 Airmen will soon see a shortcut icon on their desktops that will link to a web application. The PACE website also includes instructions on how units can order hard copies of the Little Blue Book through local printing services.